The intervertebral disc is composed of an inner gelatinous layer surrounded by a tough outer fibrous layer. Damage or degeneration to the disc can cause the inner disc material to push through, or herniate through, the outer layers towards the spinal canal. 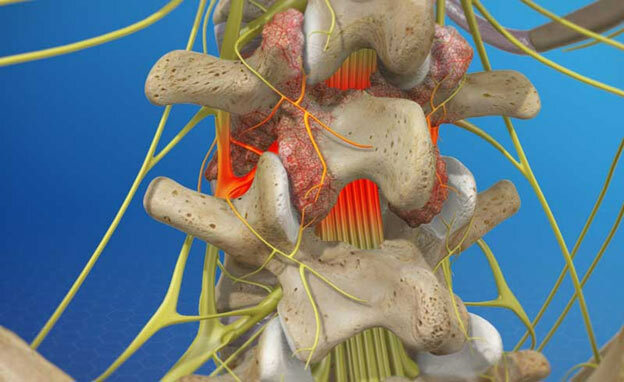 Aside from localized pain from the damaged disc, the disc material can put pressure on a nerve root inside the spinal canal. Pressure on a lumbar nerve root can lead to leg pain, or sciatica. Pressure on a cervical nerve root from a herniated cervicaldisc can lead to pain into the arm and hand. When a patient has a symptomatic herniated disc, the material that is leaking out of the inside of the disc may pinch or irritate a nearby nerve. This type of pathology produces pain called radicular pain (e.g., nerve root pain) leading to pain that may radiate to other parts of the body, such as from the low back down the leg or from the neck down the arm. Leg pain from a pinched nerve is usually described as sciatica. When a patient has a symptomatic degenerated disc or injured disc (one that causes low back pain and/or leg pain), it is the disc space itself that is painful and the source of pain. This type of pain is typically called axial pain. Any of the above three conditions can occur in the cervical (neck), thoracic (upper) or lumbar (lower) spine. They tend to be most common in the lower back because the lower back bears the most torque and force on a day to day basis. Degenerated disc disease is not actually a disease, but instead part of the normal aging process of the spine that can be worsened from injuries that are not properly rehabilitated. Discs are structurally composed by an inner-gelatinous layer called the nucleus pulposis. The nucleus of the discs has molecules that attract and hold water. This creates a cushion between the vertebra and helps direct motion. The nucleus pulposis is surrounded by a tough, fibrous outer layer termed the annulus fibrosis. The discs have no direct blood supply so the only way they maintain hydration and nutrition is by absorbing it through the end plates of the vertebra above and below through a process known as imbibition. This occurs with normal movement of the spine. As the body ages there are numerous forces from activities of daily living that apply pressure to these discs. Since this material is composed of collagen fibers and connective tissues, similar to the knee and hip joints, it tends to show signs of “wear and tear.” Repetitive micro-traumas from repeated activities like excessive bending or lifting can cause damage to the outer layers of the disc. This can be described as an annular tear on an MRI report. If there is a lack of activity in the spine from sedentary lifestyles or jobs that require excessive sitting or driving, the discs can begin to desiccate, or dry out. This can cause tearing of the outer disc layers. Ultimately, the discs no longer function like normal, and bulging or distention of the disc material will continually occur. The body makes attempts to correct for this bulging and distention through the formation of osteophytes or “bone spurs.” Bony overgrowth occurs on the edges of the vertebra to prevent further distension of the disc tissues. 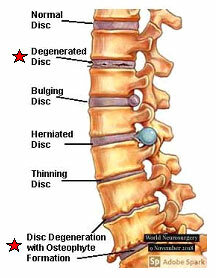 This can be seen in more advanced cases of disc degeneration on x-rays or MRIs. Also, due to the decrease in disc space, the facet joints in the spine tend to take on more stress which can lead to “wear and tear” arthritis known as osteoarthritis. These diagnoses are typically made simultaneously. Eventually they can lead to canal stenosis, or canal narrowing, that can create neurological symptoms down one or more extremities, making it difficult to stand and walk. 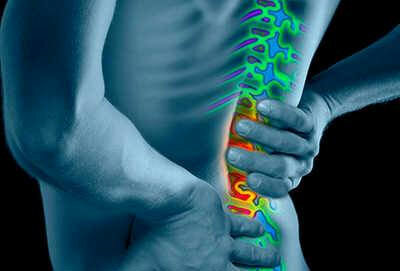 Lower back problems can cause involuntary muscle spasms that can cause increased pain and disability. Traumatic forces from car accidents can damage any of these structures and can lead to the development of chronic neck pain. This condition is commonly referred to as degenerative joint disease or DJD. This is the most common chronic condition that effects the body’s joints. This condition has no specific cause, but there are several factors that lead to its development. These factors include injuries to the affected area, overuse of a particular joint, genetics, excessive weight, genetics and other lifestyle factors. Osteoarthritis begins when there is damage to the cartilaginous cushion that is present in most joints in the human body. The breakdown of this cushion causes pain, stiffness and swelling from inflammation. This is commonly caused by direct trauma to the joint, or this condition can also develop slowly over time from abnormal biomechanics and excessive weight. Because there is more demand being applied to the joints, the joints tend to go through hypertrophy, which is a buildup of excessive bony overgrowth due to demand. This is analogous to a body builder getting bigger after lifting heavy weights, there is more demand so the tissue enlarges. This is commonly discovered via x-rays of the area. The symptoms of osteoarthritis can vary. A “flare-up” of this pain can lead to painful movement and localized tenderness. This problem is typically accompanied by stiffness and pain upon waking in the morning and is normally alleviated by movement of the joints which allows them to be properly lubricated. If there was excessive stress on the joints during the day the problem will typically return again at night. Headaches are a common ailment that push many patients to seek over-the-counter medications or even clinical diagnoses and treatment to correct. Any pain into the head can be classified as a headache, and there are over 200 types of unique headaches. A common misnomer many people have about headaches is that they are normal. Headaches arise due to some type of derangement involving internal organs, systemic/autoimmune disease or musculoskeletal problems. 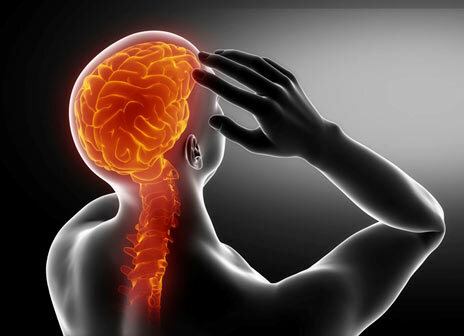 The most common types of headaches are migraines, tension headaches, cervicogenic headaches and hypertensive headaches. Diagnosing each unique headache is based upon patient history, exam findings, imaging, known triggers and lab work. The symptoms of each headache can vary from sharp pains, throbbing pain and dull aches. The distribution pattern of headaches may affect one or both sides of the head, the front of the head, back of the head or in a band-like distribution around the head. Chiropractic care is indicated for migraine headaches, tension headaches and cervicogenic headaches, which arise from structural problems within the cervical spine. Segmental dysfunction is a common cause and this is due to lack of movement in a motion segment in the spine that can lead to tightness in the muscles of the neck and the base of the skull. This can apply pressure to the occipital nerves that control the sensation to the head and create various patterns of headaches. This can mimic other headache symptoms in quality and severity. 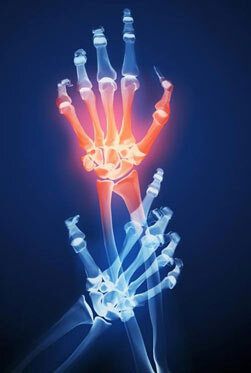 The carpal tunnel is a narrow passageway that is formed by the bones and ligaments in your wrist. This acts to protect the nerves, tendons and blood vessels that supply sensation and allow fine movements of the fingers and hand. Overuse of the hand and fingers from activities like repetitive fine finger movements, excessive typing and poor hand/wrist ergonomics places excessive stress on these tendons. Under stress the tendons will thicken, or hypertrophy, and become irritated and inflamed in the process. Since the carpal tunnel is narrow the excessive thickening of the tendons in conjunction with swelling from inflammation will place pressure on the median nerve, the primary nerve that controls the sensation in the thumb and first finger and controls fine movements of the thumb. In short, carpal tunnel syndrome can be described as a “pinched nerve” in the wrist. The symptoms of carpal tunnel syndrome include numbness and tingling into the thumb and first two digits. Eventually this can progress to weakness and atrophy of the muscles that control the thumb. This can create difficulties with gripping objects, performing normal tasks and forming a fist. These symptoms are typically worse after daily activities, and can wake you up at night. Often times people with carpal tunnel syndrome feel the need to “shake out” their hands and wrists to awaken the nerves. This is made worse due to the fact that most people sleep with their wrists flexed. This can affect one or both wrists simultaneous depending on lifestyle and use. On some occasions there are problems with the cervical nerve roots coming from the neck into the hand. This can mimic carpal tunnel syndrome. It is possible for true carpal tunnel syndrome and cervical nerve root irritation occur at the same time in a condition known as “double-crush syndrome.” It is advisable to address carpal tunnel symptoms early on to avoid possible surgical intervention. Carpal tunnel syndrome can “flare-up” during pregnancy due to water retention and with other health ailments. 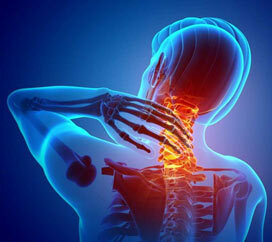 Common signs and symptoms of whiplash include neck pain, stiffness and headaches. A sprain is a stretching or tearing of ligaments — the tough bands of fibrous tissue that connect two bones together in your joints. The most common location for a sprain due to an auto accident is the neck or low back due to forces these areas are subjected to at the time of impact. Overexertion: This is the number one work place injury in the United States, and it includes injuries caused by pulling, pushing, lifting, carrying, throwing, and holding. Slip and fall: These injuries usually occur when a worker trips over something or slips on a wet floor. Falls from high places: Falls from elevated areas, such as ladders and roofs, can be extremely dangerous. Several hundred workers are killed by high falls every year. These accidents are most prevalent in the construction industry. Falling objects: When large or heavy objects are dropped or fall from high places, they can cause serious head injuries to a worker below. Motor vehicle accidents: When an employee is injured in a vehicle accident while driving for business purposes, it is considered a work-related injury. Repetitive motion: These injuries typically build up over time until they reach a level at which irreparable damage has been caused. Repetitive motions can involve such basic tasks as sitting at a computer all day. Awkward wrist placement while typing can result in carpal tunnel syndrome, and improper posture while seated at a computer can cause severe back pain. While it isn't a life-threatening condition, shingles can be very painful. Early treatment can help shorten a shingles infection and lessen the chance of complications.